Research, development and production of ballistic equipment for testing of the cartridges for hunting, sport or military weapons in accordance with the standards C.I.P., TP-VD, TPF, STANAG, MOPI, MIL, SAAMI etc. Testing of small arms and cannons at standard or worsening conditions. Testing of protective materials in accordance with the stan- dards STANAG 2920, AEP-55, NIJ 0101. 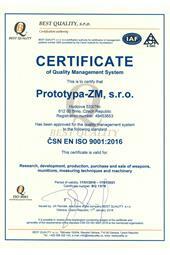 Research, development and production of small arms, cannons and ammunition and mounting for weapons. Research and development of launching systems for unmanned aerial vehicles. Design of measuring equipment for ballistic laboratories. 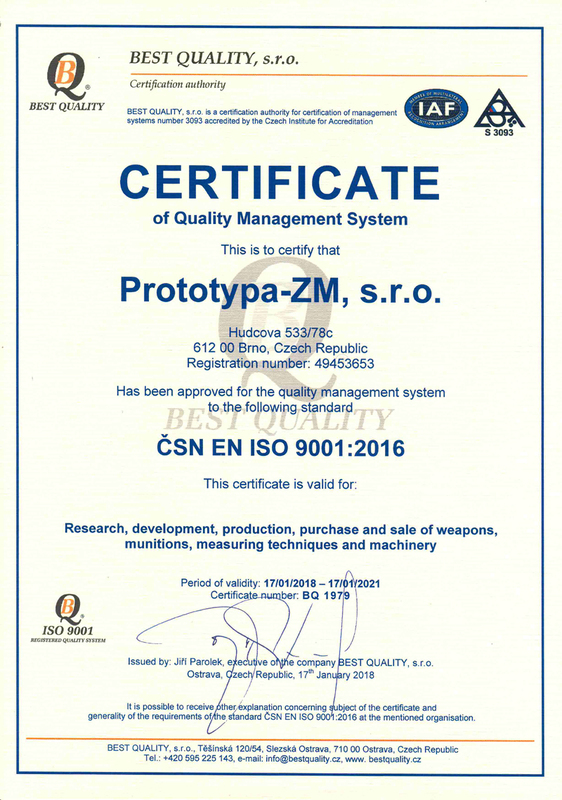 Prototypa is a holder of the quality management system certificate EN ISO 9001:2009 and AQAP 2110 (research, development and production in the area of weapons, ammunition and engineering equipment) as well as a holder of NATO codification supplier code 0461G. Main foreign business partners in alphabetical order: Algeria, Belgium, Brazil, Bulgaria, Chile, Denmark, Egypt, Finland, France, Germany, Hungary, Indonesia, Italy, Malaysia, the Netherlands, Norway, the Philippines, Poland, Romania, Russia, Singapore, Serbia, Slovakia, Slovenia, Spain, Sweden, Thailand, the Ukraine, USA, Vietnam.